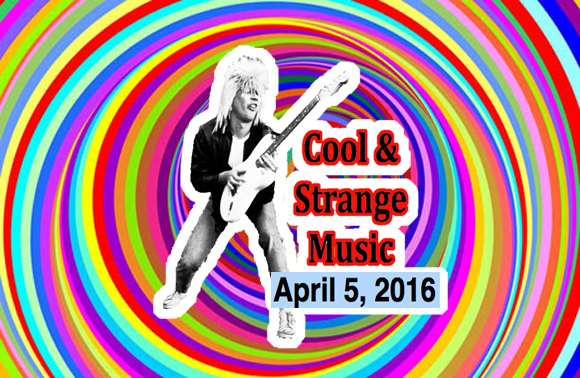 We’re back to Cool & Strange Music for April 5, 2016! Here is this week’s chart of the most out of this world musical wackiness and bizarreness! You have good timing! Today’s line up has a definite Rock N Roll groove to the tunes…. Imagine the Rock N Roll bands that would be playing with the ghosts at the Haunted Mansion in Disney.